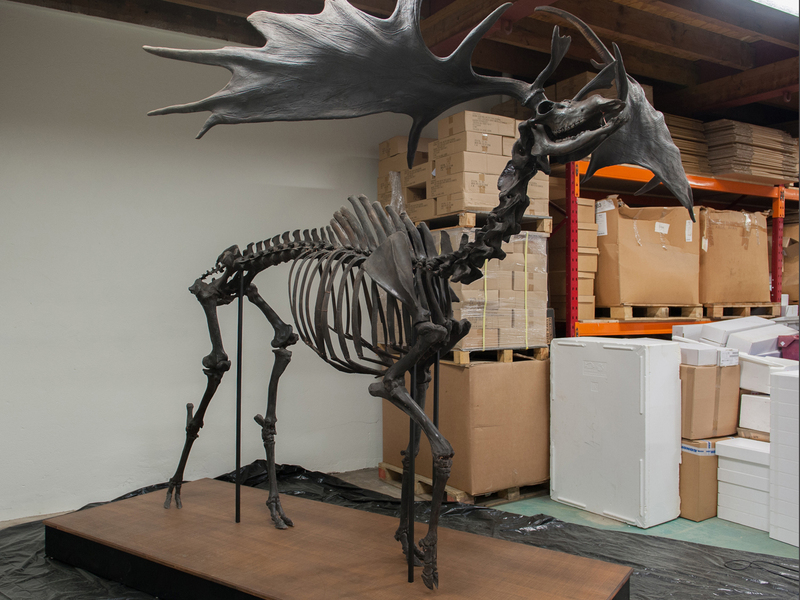 Megaloceros giganteus (Blumenbach, 1799) is more commonly known as the Irish Elk – though it is neither exclusively Irish nor an elk. 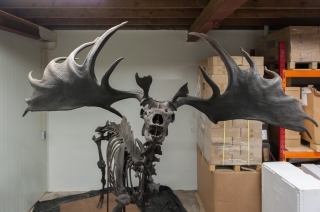 It is a giant extinct deer, the largest deer species that ever lived, reaching up to seven feet at the shoulder (2.1 meters), with antlers spanning up to 12 feet (3.65 meters). 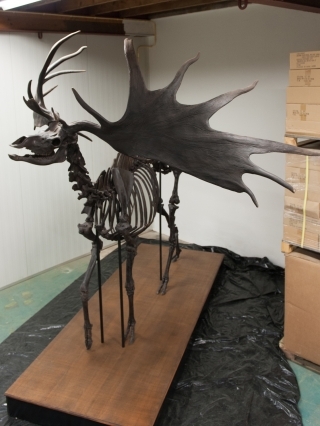 The Irish elk evolved during the glacial periods of the last million years, during the Pleistocene Epoch. 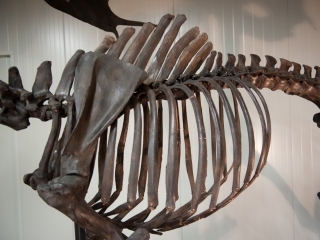 It ranged throughout Europe, northern Asia and northern Africa, and a related form is known from China. 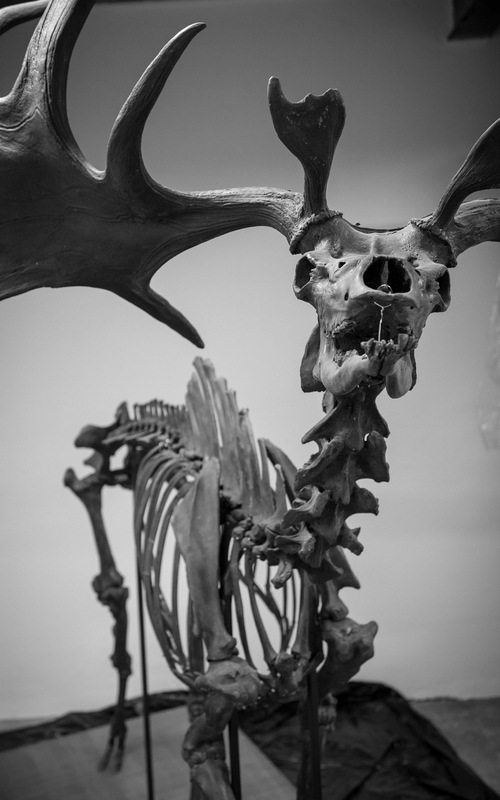 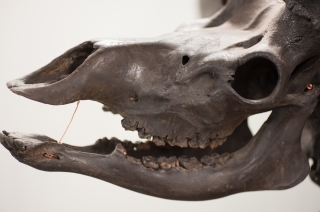 The name “Irish” has stuck because excellent, well-preserved fossils of the giant deer are especially common in lake sediments and peat bogs in Ireland. 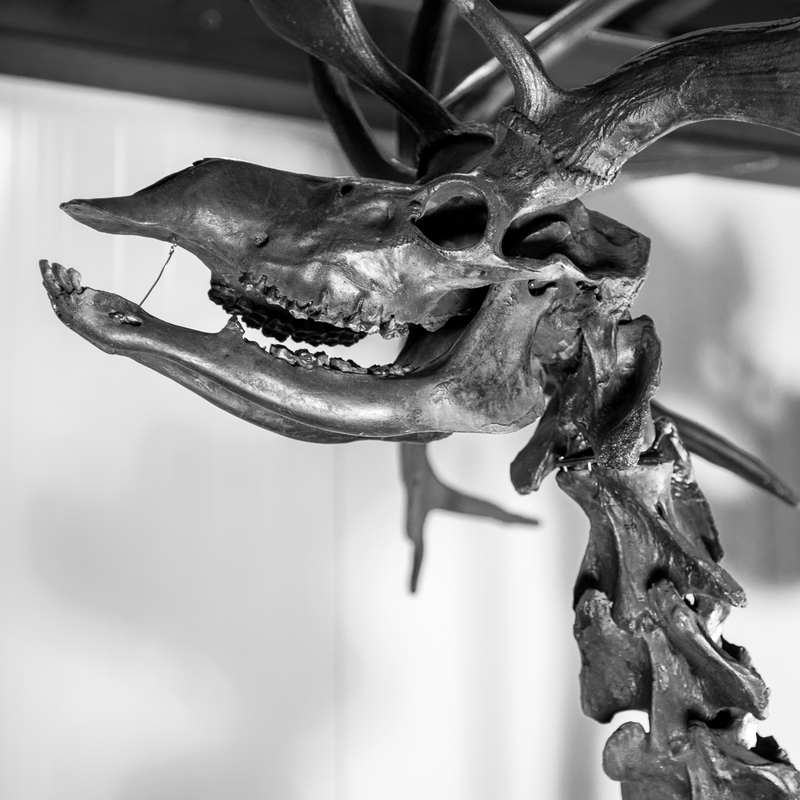 Such skulls, with their enormous racks of antlers, adorn the walls of castles and hunting lodges throughout Ireland. 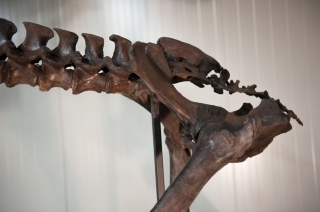 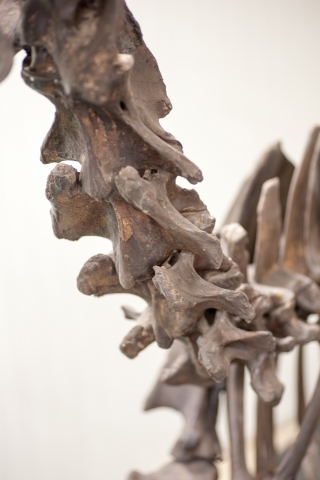 The present magnificent and almost virtually complete skeleton was discovered in Ireland most probalby around the year 1900, and has been part of the collections of the Museum Biochron in Emmen (The Netherlands) for several decades, until it was deaccessioned. 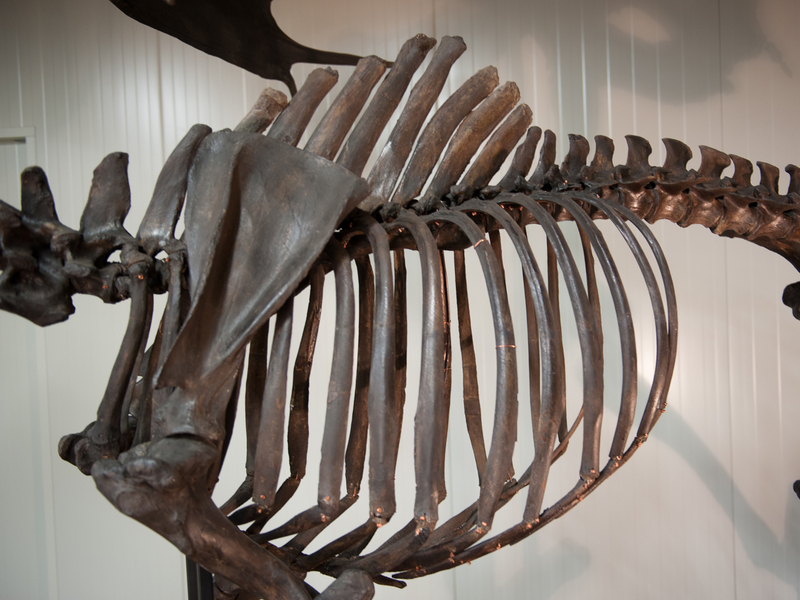 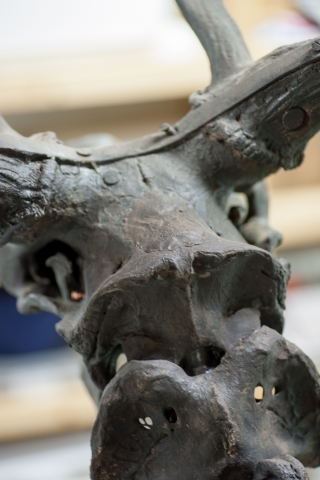 It presents a rare opportunity to acquire such a superb skeleton of this fine beast. This piece will be shipped by Fedex or an alternative high-end transporter and will be assembled by our technicians in a location of the purchaser's choosing.